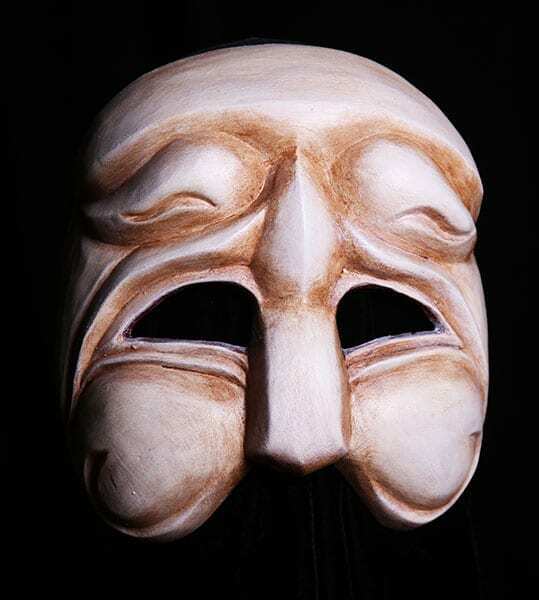 Greek Chorus 3: The Greek theater mask Chorus 3 is the only one of the chorus masks that leans in form toward comedy. It was developed for the BFA acting classes at Ball State University. This half mask represents the qualities of arrogance, pride, jealousy, envy, vanity and fear. It’s a cornucopia of positive traits making it perfect for the Greek Comedies.